Planetary Formations Tidal & Gravity Factors + - Attraction - Multiple Bodies - Tidal Effects - Roche Limit - Accidents - Body Shape - Atmospheres - Solar Wind Effects Gas Giants Water Finding Exoplanets Life Elsewhere Goldilocks Zone The Drake Equation Hello Aliens! A strong enough mass is the main reason terrestrial planets are able to form and maintain an atmosphere. Other factors include the effect of the solar wind, temperature or proximity to a larger body such as a Sun or larger planet. If the mass is not strong enough any atmosphere will escape the planet and likewise if it is too hot the kinetic energy of the hotter gas could eject molecules away at escape velocity from the planet. The inner planets atmospheres are thought to have formed at the same time as the planets evolved, bodies such as Titan and Pluto are thought to have formed over time through internal heating such as volcanism or tectonic activity. Mercury: Small, close to the Sun and so likely not to have been able to form an atmosphere. 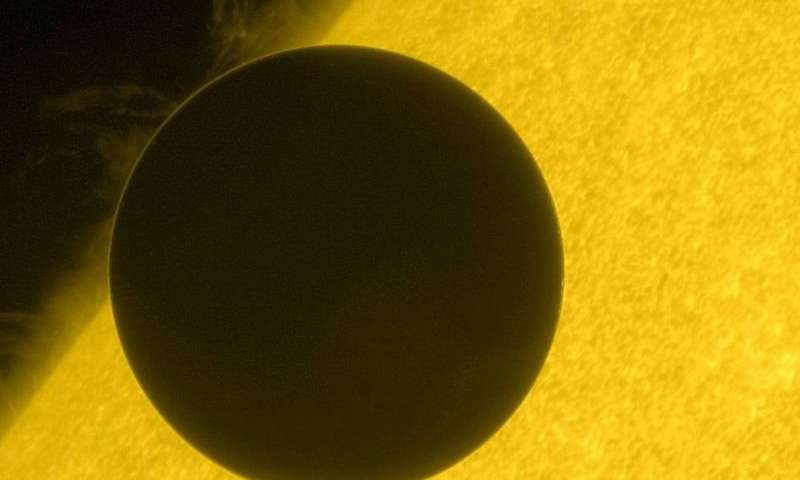 Venus: Closer to the Sun than Earth but maintains a thick carbon dioxide atmosphere. 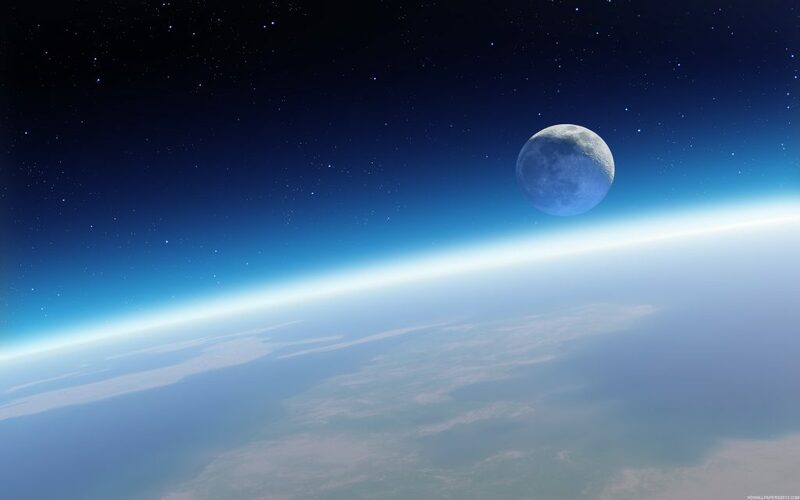 Earth: Nitrogen/oxygen atmosphere. Within the habitable zone, magnetosphere protects against the solar wind. 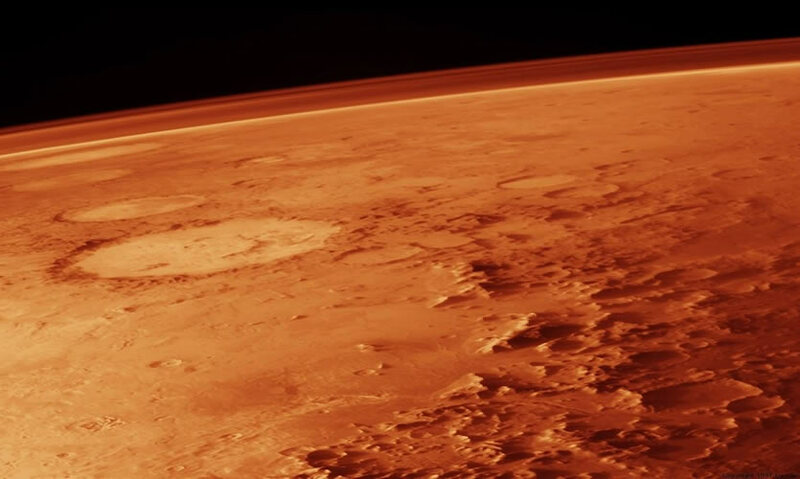 Mars: Further away, smaller body than Earth/Venus, thinner carbon dioxide atmosphere, no magnetosphere. 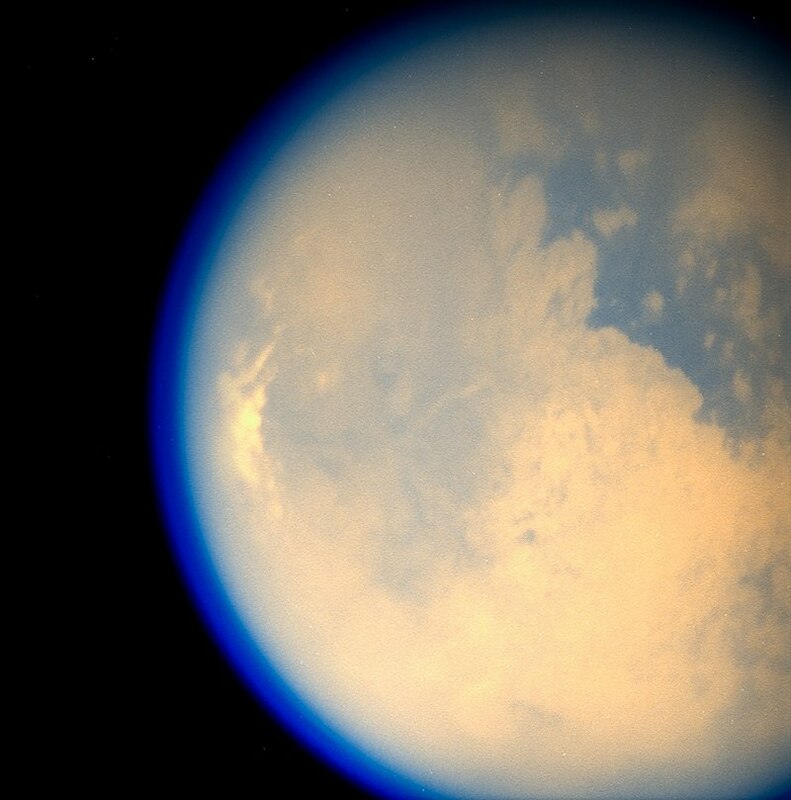 Titan: Nitrogen/methane atmosphere, one and a half times ticker than Earths. Thought to be produced by internal heating. Pluto: Past the main planets it keeps a very thin nitrogen atmosphere despite being smaller than Mercury. Thought to be produced by internal heating. Lighter gases such as Hydorgen and Helium do not tend to gather aournd terrestrial objects however gas giants are rich in these elements. Universe Today What Is The Atmosphere Like On Other Planets?